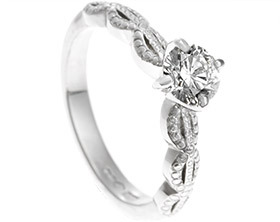 Peter wanted to design a unique engagement ring for Lauren inspired by a leaf style ring he had seen in our Ready to Wear collection. 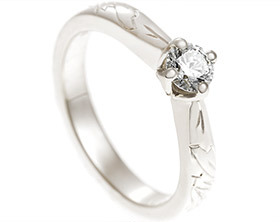 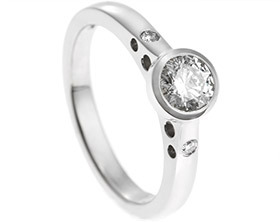 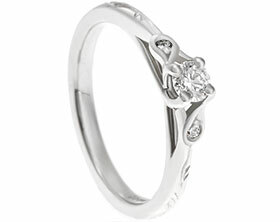 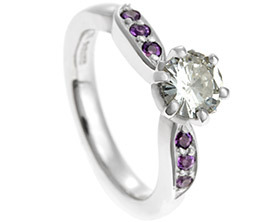 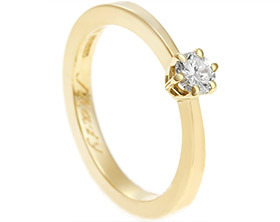 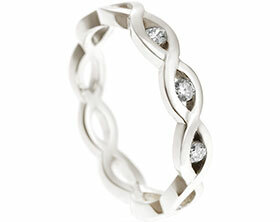 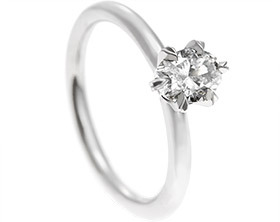 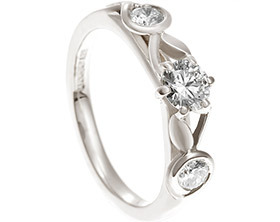 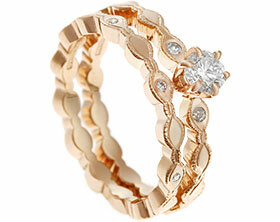 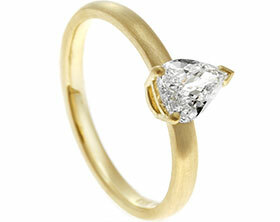 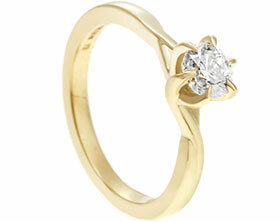 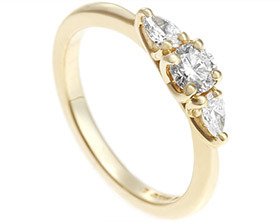 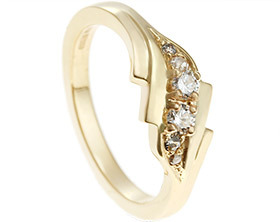 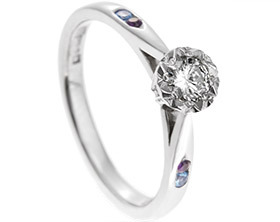 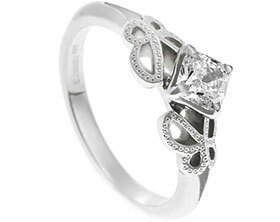 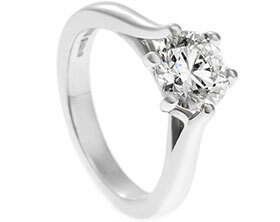 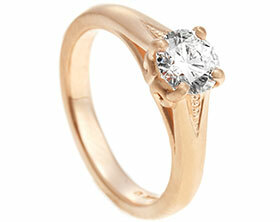 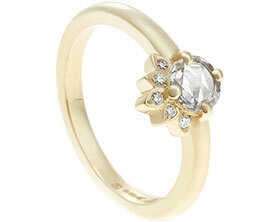 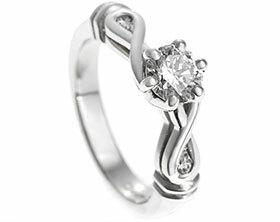 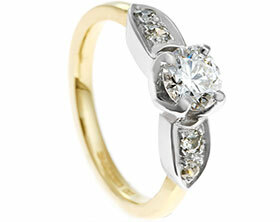 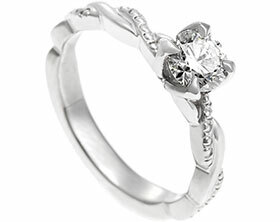 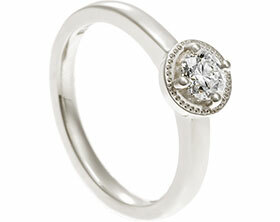 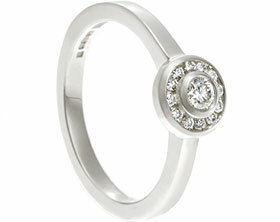 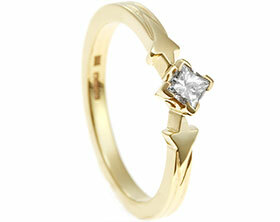 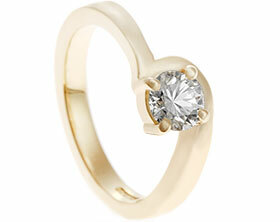 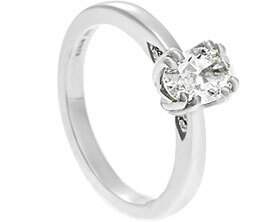 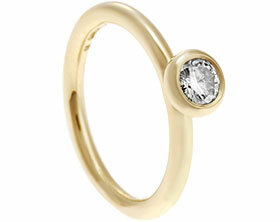 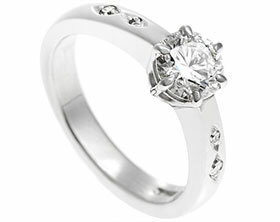 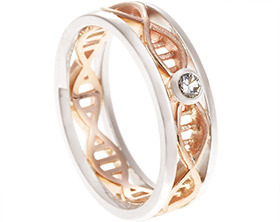 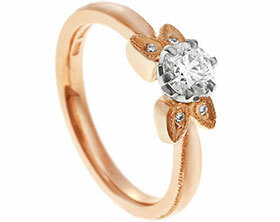 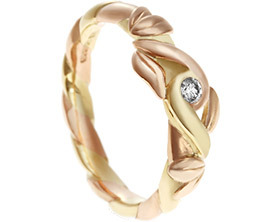 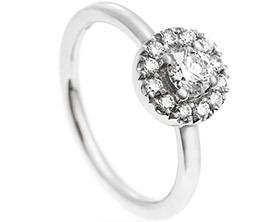 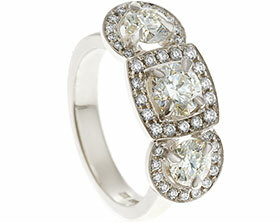 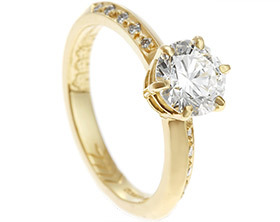 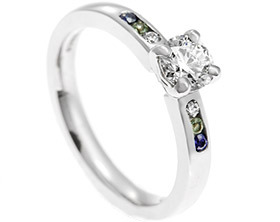 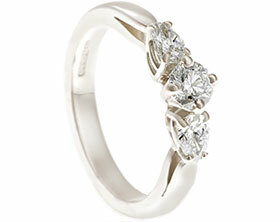 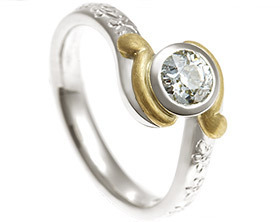 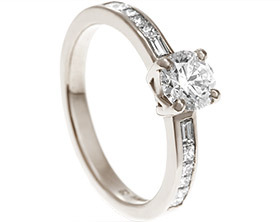 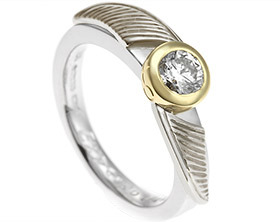 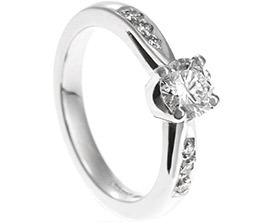 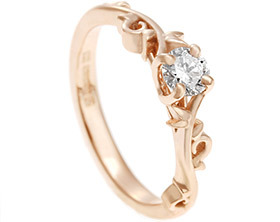 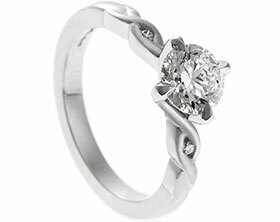 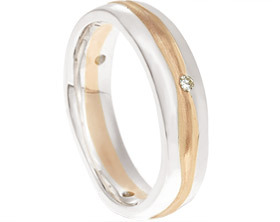 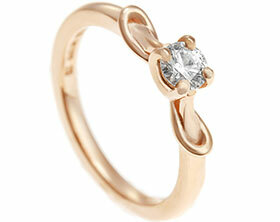 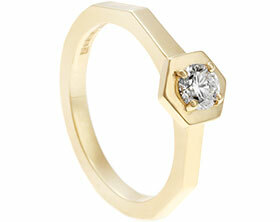 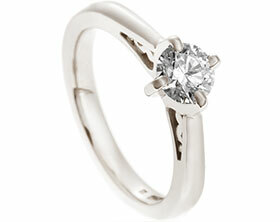 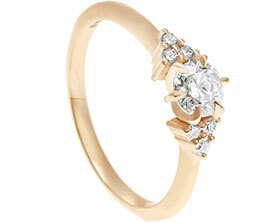 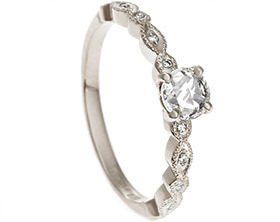 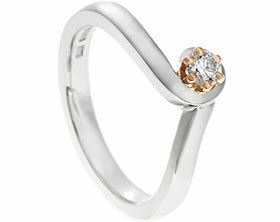 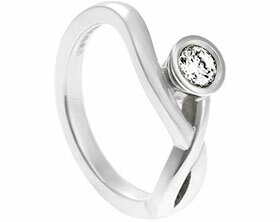 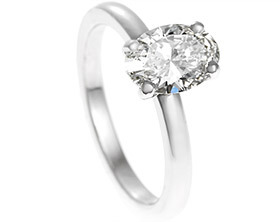 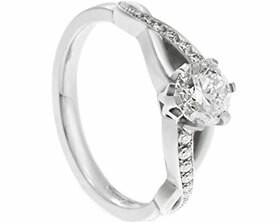 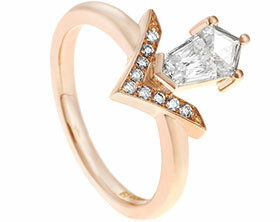 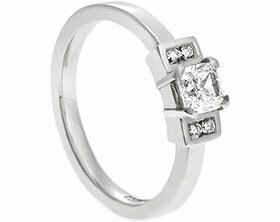 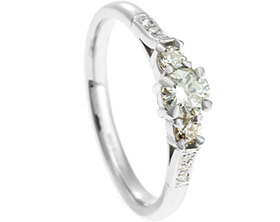 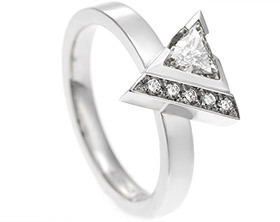 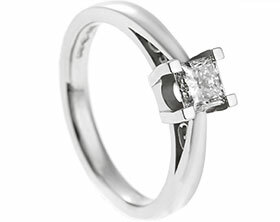 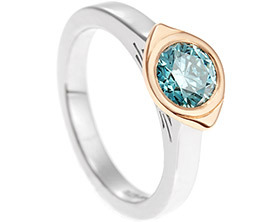 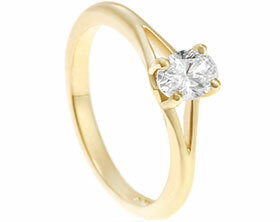 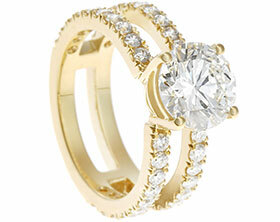 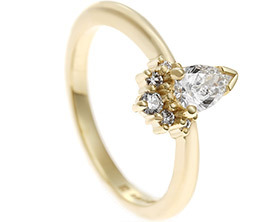 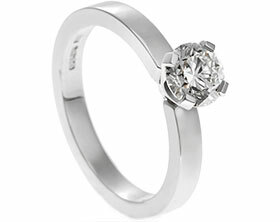 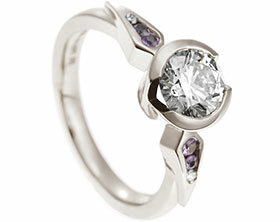 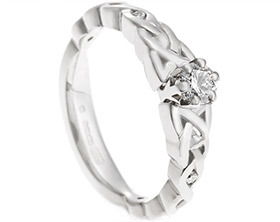 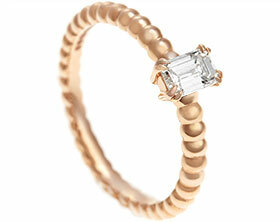 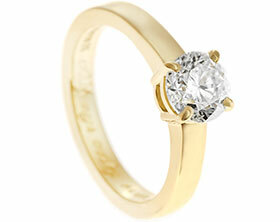 He also wanted to incorporate diamonds from Lauren's Nan's ring which was of great sentimental value to her. 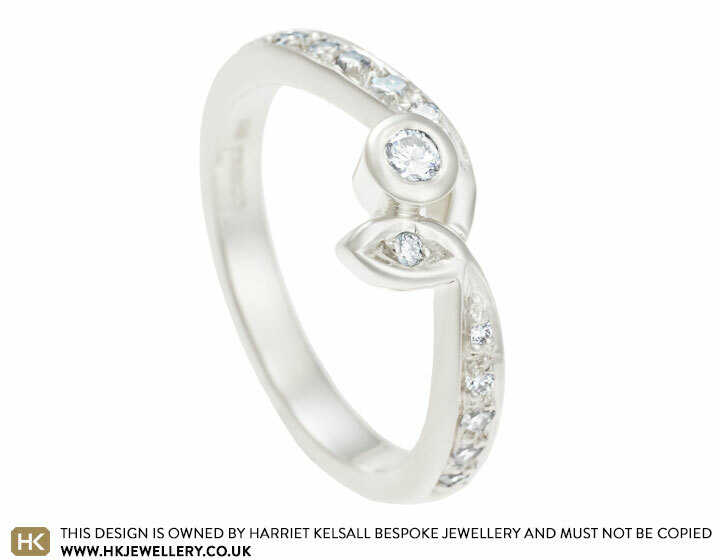 Lauren's Grandad's lucky number was thirteen so the design includes a central 2.5mm diamond in an all around setting with twelve 1-1.5mm diamonds pave set in the shoulders. 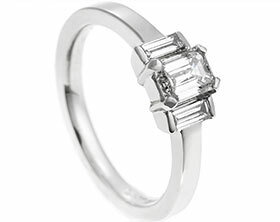 The 9 carat white gold band tapers and curls on one side to create the delicate leaf shape which holds one of the sparkling stones. 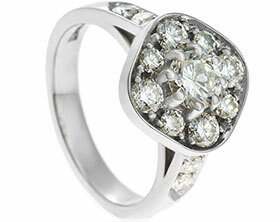 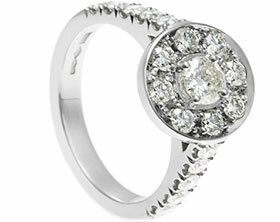 The ring has been completed with a highly polished shine to showcase the sparkle of the thirteen diamonds.